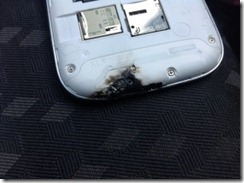 You remember a few weeks ago that Roy posted about the guy who had a Samsung Galaxy SIII that exploded? Well it turns out that that the person who reported it was telling a bit of a porky pie. 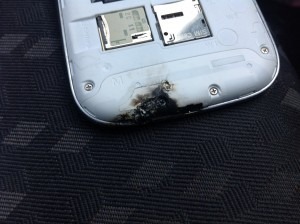 If you are lucky enough to own an SIII you can return to keeping it in your pocket. He probably works for apple.